As a relative newcomer to Oregon and the Willamette Valley, I am still finding my way around the region, learning all the amazing resources it has to offer. As the planning committee for the Recycled Arts Festival starting its effort five months ago, one of the requirements was to introduce me to some of the best scrap resources that exist nearby. One, located in Portland, is Scrap, an amazing center of donated materials that are sold at great prices. This store was mentioned by more than one of the artists who will be showing and selling their work at the Festival. Tess Mattos enjoys Scrap a lot, and even teaches classes there. As a volunteer she also offers her expertise with yarn to review all the donated material. Those that have enough length are offered for sale. Those that are not long enough for a knitting project grab her attention. “I work with reclaimed materials for the variety inherent in them, as well as for the fulfillment of making something useful out of something useless,” Tess explains. Tess can trace her interest in the basic idea — of mixing multiple yarns, colors, and textures in one skein — to expensive commercial versions of “wild” art yarns, at least fifteen years ago. Over the ensuing years, she developed many different techniques to blend a variety of yarns within a project, such as free-form crochet, or changing yarns on every row or two. However, it is only within the past year that I pulled together my love of mixing yarns, and my interest in re-use and upcycling, to start making Second Chance Skeins. Upcycling everyone else’s leftover bits and pieces not only provides the diversity and variety Tess enjoys, but she also finds the effort to take what others throw away, and turn it into beautiful, exciting art yarn extremely satisfying. Tess Mattos and Second Chance Skeins are at Table #12. I just went to SCRAP up in Portland a few weeks ago. What an awesome collection of stuff! I know…it’s almost like I want to keep it a secret….but it works so much better the more people who know about it and support it with donations and purchases. I LOVE that you all have a festival dedicated to scraps and upcycling! I just went to our local Interweave Yarn Festival and found a couple selling an upcycled yarn they called “Funzies”, created from barrels of clothing manufacturer scraps. It’s non-wool yarn but the fibers are otherwise unknown. I’m so excited seeing more options like this on the market! When I saw Tess Mattos’ Second Chance Skeins I wished I was an accomplished knitter……now all I need to do is find someone who will make me something from these! The concept for this festival is wonderful and we have had several others in the Portland area for years. 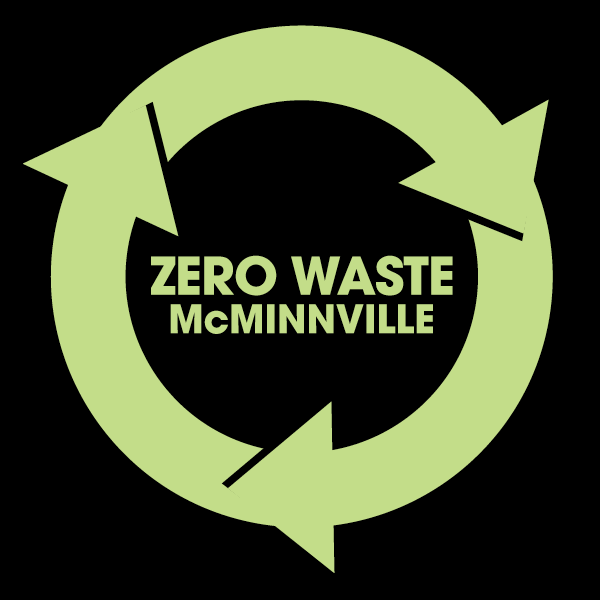 McMinnville is about an hour west in wine country and the interest in zero waste is pretty well supported here. This will be the inaugural year for this event and we already have ideas of new add-on activities with it for next year!! This is going to be very good! Okay, Tes, I’ll take your word for it because what you just said was Greek to me. LOL We will talk!